Back country fishing. Depending on where you live and what you fish for, it might mean canoeing deep into the Canadian shield for walleye and pike, backpacking into the high country to chase native cutthroat, bugging out to access smallmouth between the falls, or loading up the boat and motoring down a remote river to a distant base camp (Operation Fall Musky). The one thing these places hold in common is that you’re far less likely to run into other anglers and far more likely to hook into a memorable fish—either for their size or for how much you needed to suffer and sacrifice to get them. Whether you’re preparing for a fall in the backcountry or thinking about striking out to Middle of Nowhere, USA, the gear on this list has been vetted to death and proven effective, efficient and safe. A quality dry bag is the cheapest life insurance policy you’ll ever take out. I’ve written about this one before, and until it gets replaced I’ll probably write about it again. 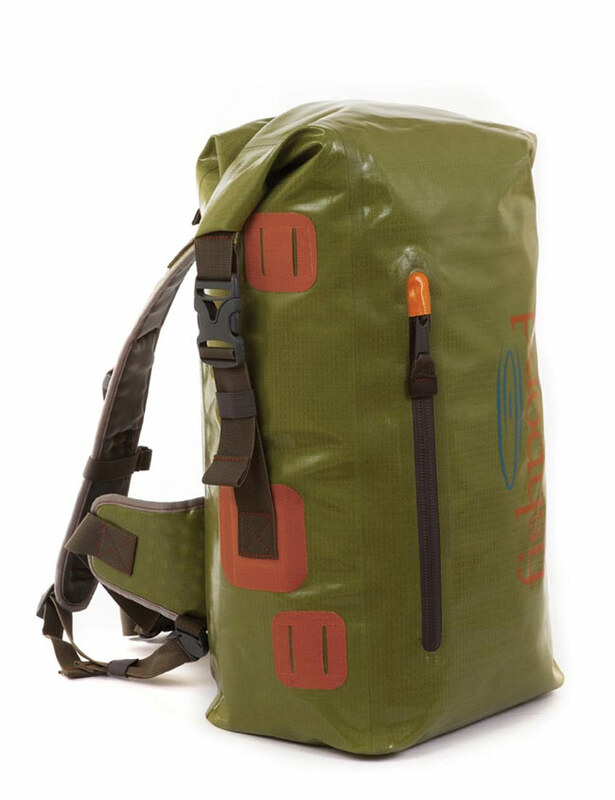 The Fishpond Westwater Rolltop is a simple, no nonsense, bomb-proof bag that holds a ton of gear and is equally at home whether strapped to your back or sitting at the bottom of a canoe or drift boat. 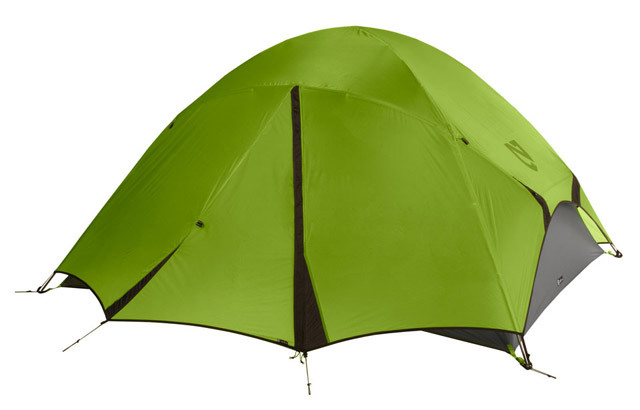 Cram it with sleepings bags, baselayers, rain gear, tents and tarps, you name it. Just cram it. packing in water. But rendering wild water can be a time consuming, not to mention expensive, process. The best solution I’ve found to staying hydrated in the back county is the GRAYL water filtration and purification system. 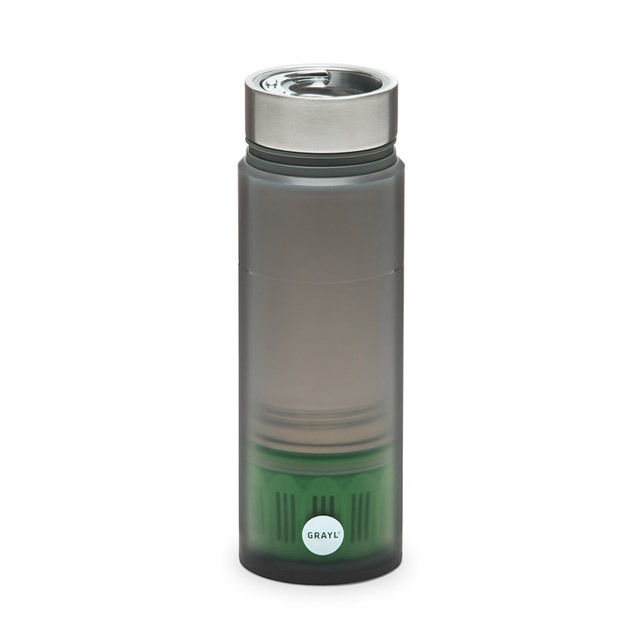 Think of the GRAYL as a French press, but you get to drink your favorite river at the end. There are two options for the actual cup, the Quest (made of BPA-free plastic) and the Legend (which is stainless steel)–I favor the Quest for it’s lightness in the hand. You have your choice of three different filters depending on what level of contamination you’re about to chug, from the level 1 Tap filter to the level 3 Travel filter. I drank exclusively from the level 2 Trail filter and suffered no ill consequences even when drinking straight from stagnant beaver ponds. Special note: the pressue needed to work the press requires adult-level effort–not for kids or the less muscularly inclined. One thing I’d like to see on future models: a D-ring attachment for easy clipping to a pack when hiking or portaging. This year I got my first pair of polarized prescription lenses. For the 15 years prior I was the guy in camp sticking soot-covered contact lenses into his eyes so that he could wear premium polarizing lenses. This year I said “no more” and took the plunge with a prescription pair from Smith Optics, and they have seriously exceeded my expectations. Most impressively, Smith uses Zeiss glass for their prescription lenses. If you’re not a professional landscape photographer, you might not know that Zeiss is some of the best optical glass in the world. Coupled with Smith’s proprietary ChromaPop technology, this might be the mostly clearly–and comfortably–you will ever look out over water. What you’ll need to get the prescription process started is a recent (this means less than one year old) script from your eye doctor, as well as your pupil distance, which I recommend NOT getting measured at home. Special note: there is a learning curve to seeing with wrap-around prescription glasses. If you wear any sort of prescription lens, you know what I’m talking about: the first time you put on a new style and shape of lens you notice that you see a bit differently than before. With wrap-around prescription lenses, this learning curve becomes a little more pronounced. To get accustomed to mine, I wore them for increasing time increments over a seven-day span. Once I did, my eyes were in heaven, and I’m now able to toggle back and forth between these and my regular glasses with no strain whatsoever. 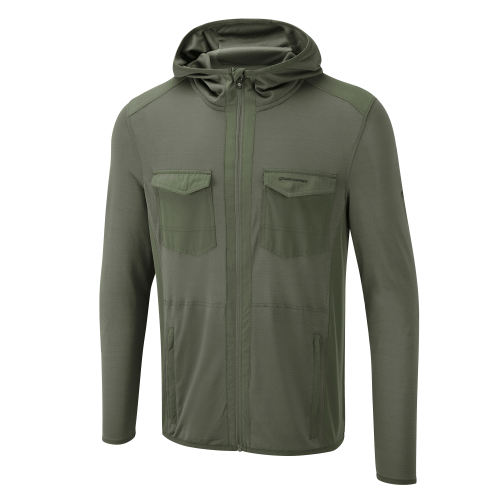 If you live in the buggy part of the world, there’s one piece of gear that you’ll want to more or less live in, as I have, during the bug-filled part of the year: the Craghoppers Chima Jacket. It’s made of extreme anti-bug technology (it’s permanent, and will not wash out) and is light enough to wear on hot humid days and nights. It’s got good smart pockets, is cut for mobility and looks sharp to boot–take it bushwacking through the swamp or grilling at the lake. 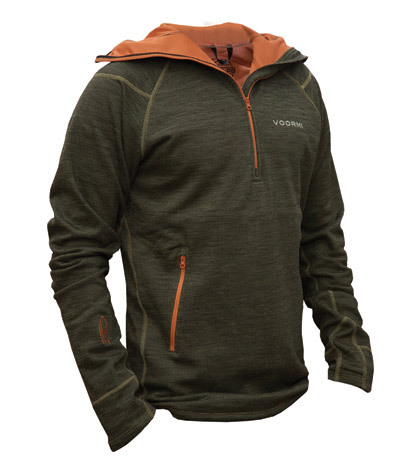 For colder back country work, the High-E Hoodie by the VOORMI-fishpond Co-Lab is the intelligent fur evolution cruelly wrested from you. It’s cut extra long everywhere so you have extra material to tuck in and cover up, and is made with the crimpiest—read: warmest and most breathable—wool on the market. Designed and manufactured in Colorado, the High-E helps vape out heat when you’re huffing and keep you warm when you’re not–thermal regulation is always a good thing when you’re ensconced in the middle of nowhere. For rendering firewood I’ve winnowed my stash down to two different implements: the Silky Gomboy 240 hand saw and the Fallkniven A1 heavy-duty all purpose knife. 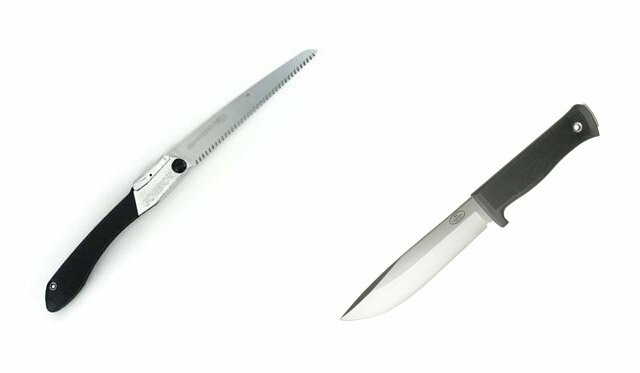 Made with best-in-class Japanese steel, the Gomboy cuts through wood like butter (go with the medium teeth so you can just as easily handle hardwoods and pine), while the beefy, full-tang, last-you-three-lifetimes A1 takes care of knifely duties while retaining most of the splitting ability of a hatchet. 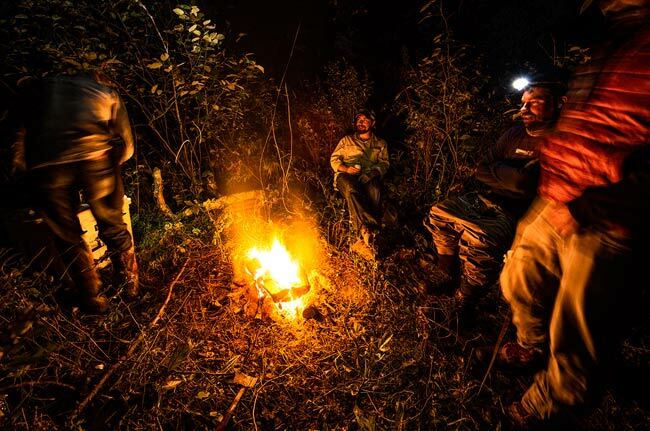 Unless you plan on building your own shelter from scratch, you can leave the axe at home. Last but not least, there’s been my go-to back country rod, brought to you by Sage. The blank says SALT, but it might as well say ESOX–that’s how good of a toothy critter stick this is. What makes the SALT a great pike and musky tool is two things: first, it’s light as all get out due to Sage’s Konnetic Technology–important because the flies you’ll be casting are as heavy as they get. Secondly, and most importantly, the SALT taper takes a lot of the pain out of casting that big stuff. Esox flies need to push water, which means they also hold a lot of it on the back-cast. For tip-oriented tapers, this results in a pretty hard kick when that big, water logged Buford gets called on to fly forward. The more progressive taper of the SALT distributes that kick throughout the blank, saving you wrist pain and delivering a cleaner shoot. The 9-weight just might be my favorite pike rod ever. Coupled with a 350 grain line, it would also make a great stick for chasing the biggest of big brown trout (White River anglers take note). If you’re a streamer hucker, put this one your to-cast list. Available in weights 5 through 16. This concludes this year’s list. You’re on your own for food and flies, but this will keep you dry, safe, bug-free and well hydrated, for whatever road or river calls.